Aerography starter set. 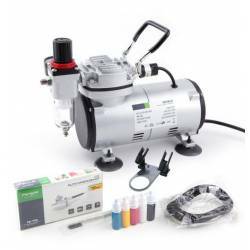 This set includes a modern and complete compressor equipped, filter and air flow adjustor and a double action airbrush with 3 different needles and nozzles and mini filter. 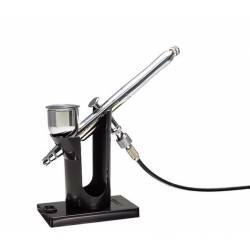 The high-end airbrush instrument for professional artists not only sets new standards in design, it also offers intelligent functions and ergonomic excellence. The Quick Fix, with its engraved scale, allows even more accurate paint-flow control. 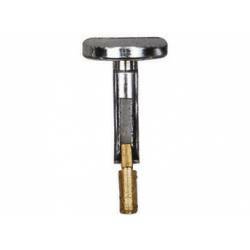 The lever resistance can be individually varied. 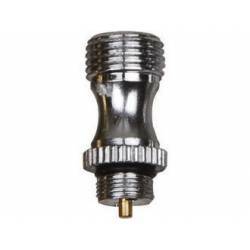 The open needle cap ensures permanent control of the needle tip. 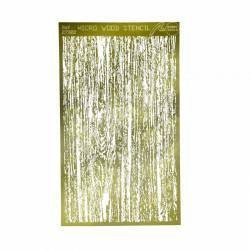 Micro template for wooden simulation. 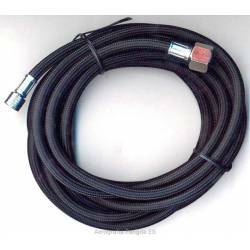 Air hose with connection size G1/8 to C1/4, with filter. 3,0m length. 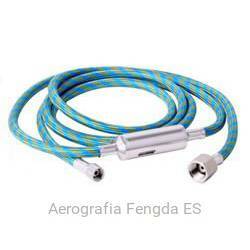 Air hose with connection size G1/8 to C1/4, with filter. 1,8m length. Universal stand for two airbrushes with tray. 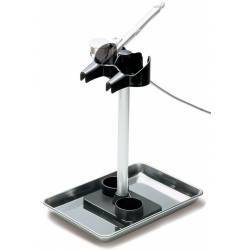 The stand has two magnets with which it can be fixed to the metal tray. 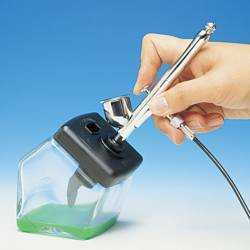 Mr. Airbrush Cleaning Bottle. Suitable for any kind of airbrush. Mr. Nekonote paint station. 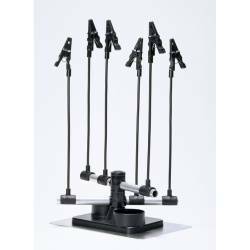 Made of sturdy cardboard, includes four masts with clamp. Very useful to hold all kinds of pieces while they are painted. 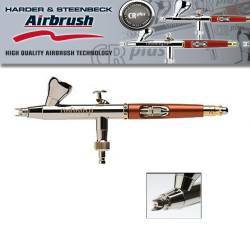 Universal airbrush Mr. Stand. 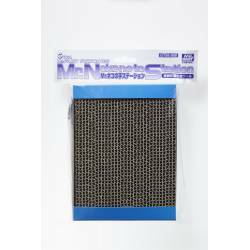 The magnet under the foot of the stand allows to keep it in position on any metal surface (such as the Mr. Tray from the same manufacturer, for example).